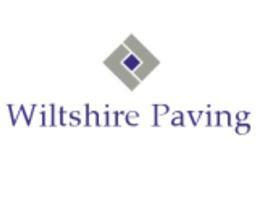 Wiltshire Paving Ltd - Driveways/Patios/Paths based in Minety, Wiltshire. Welcome to our checkatrade page, and thank you for taking the time to look into our details. At Wiltshire Paving We aim to work alongside you, as well as for you, and strive 100% customer satisfaction. We maintain this as we consider ourselves honest, reliable and hard-working. We are an established and professional block paving company based in Wiltshire & Oxfordshire. We specialise in all types of block paving, patios, concrete, gravel and tarmac driveways and paths. Tailored to suit your taste, property and budget. We are skilled and experienced in a range of areas including the design and full installation of block paving, slab-laying, tarmac, gravel and walls. We offer a full range of colours and finishes, using only high quality product and reliable qualified installers to insure you get a durable and stunning finish. Please feel free to call us any time for a free quote and advice. We also offer a full driveway refurbishment! We are proud to say we are Brett approved installers!! Brett Approved Paving Installers have been accredited by Brett to install hard landscaping to the approved British Standard. Following our regular inspections we know these companies will deliver householders with outstanding landscaping projects. Moreover they consistently demonstrate a high level of service and proficiency that includes a 5-Year Installation Guarantee and a 10-Year Concrete Product Guarantee. Remember their workmanship is regularly assessed to provide you with the confidence from a major manufacturer. Wiltshire, Oxfordshire, Swindon Cirencester, Malmesbury, Chippenham Malborough, Witney Newbury, Abingdon, Cowley, Kennington, Marston, Didcot. And all surrounding areas.